The recall affects ground beef, fajita meat and diced skirt steak. 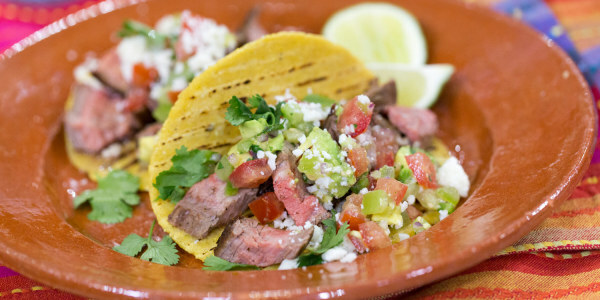 Planning to make tacos or fajitas for dinner? Before opening that package of raw beef, check the label to make sure it’s not part of a new recall that impacts folks in nine states. The United States Department of Agriculture (USDA) says more than 7,000 pounds of fresh and frozen raw beef packaged for use as tacos or fajitas by a Texas-based company were not federally inspected and, as a result, they are recalling all of the affected items. Products were shipped to Alabama, Arkansas, Indiana, Louisiana, Mississippi, Missouri, Oklahoma, Texas and Wisconsin in March. Normally, all meat sold commercially is inspected and approved by trained employees of the USDA's Food Safety and Inspection Service (FSIS) in plants and other processing facilities across the country to ensure it is safe for consumption and properly labeled. In this case, inspection employees reviewed records and discovered that Texas Meat Packers operated on March 24 without federal inspection. Such facilities are not supposed to operate without FSIS employees present. Shoppers in the affected states have been advised to check the package label on their raw beef products to see if it’s one of the recalled items listed below. The case or item code will be visible in the upper left-hand corner of the label. The FSIS has posted a complete list of labels and affected items. Consumers who find any affected meat items should throw them out immediately or return them to the place of purchase. While you're cleaning out that fridge, thoroughly check to see if any other meat has gone bad.